Fendi and Conrad have pups! 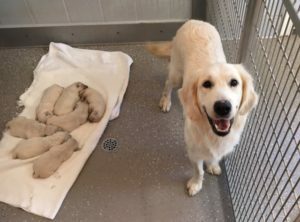 One of our own girls, Fendi (Indy and Angie) has delivered 7 beautiful and healthy English Golden Retriever puppies with Conrad. There are 5 males and 2 females. 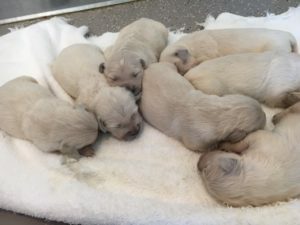 This list has just opened so be quick for your choice of puppy. 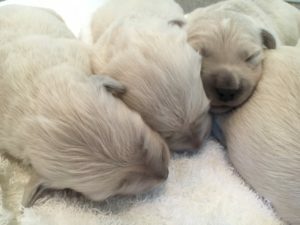 Contact Helen@BritanniaFarms.com for your next puppy!